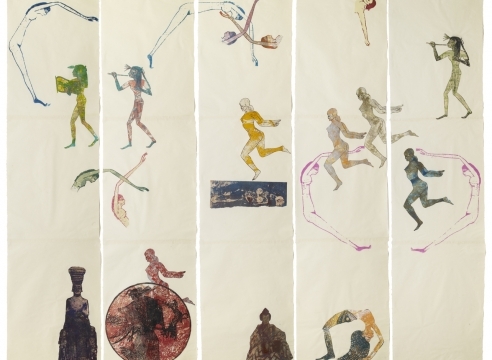 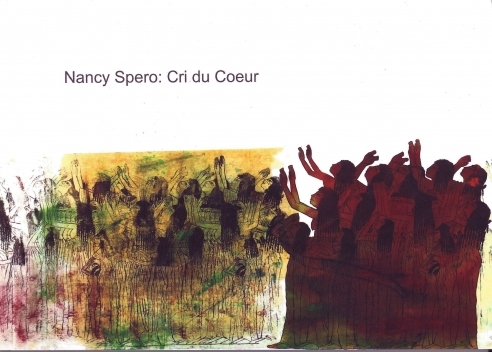 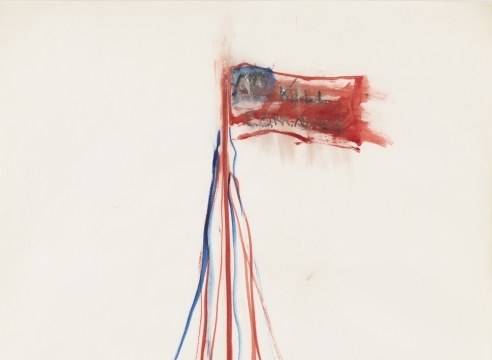 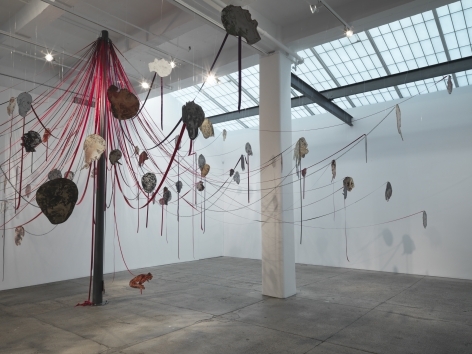 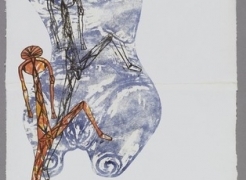 In a groundbreaking career surpassing 50 years of practice and encompassing many significant visual and cultural movements including Conceptual Art, Post-Modernism, and Feminism, Nancy Spero made the female experience central to her art and challenged aesthetic and political conventions. 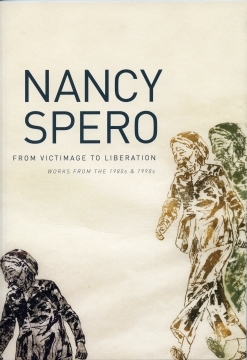 Spero’s lexicon was derived from an immersion in the history of images, notably from Egypt, classical antiquity, pre-history, and contemporary news media. 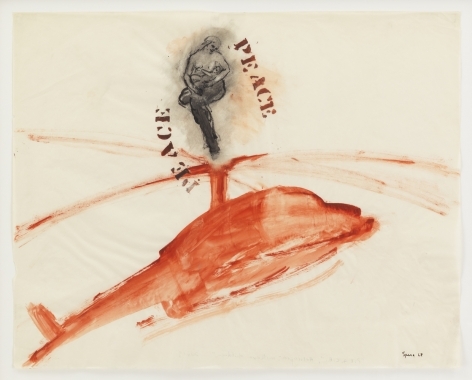 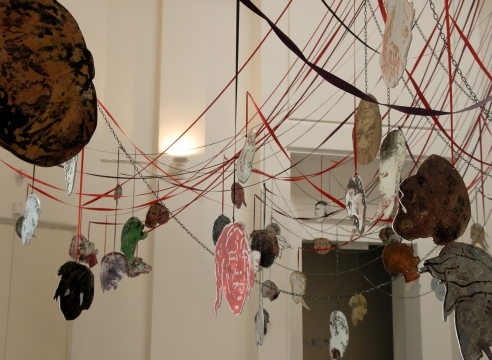 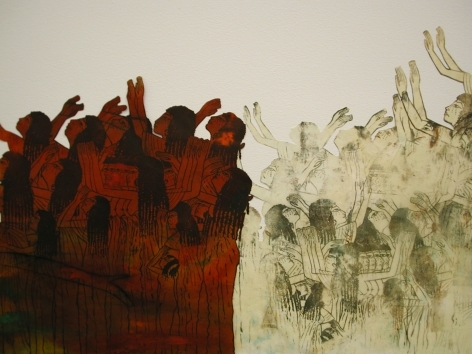 She combined, fractured, and repurposed found imagery and adopted text to comment on contemporary and historical events such as the monstrosities of the Vietnam War, extermination of Jews during the Holocaust, and torture of women in Chile. 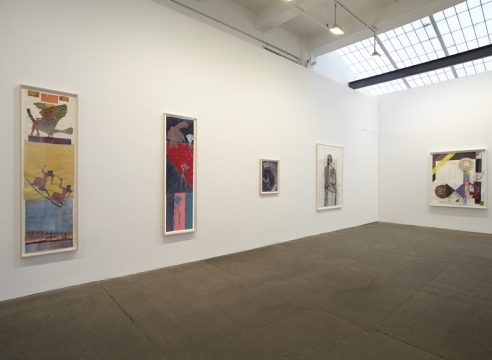 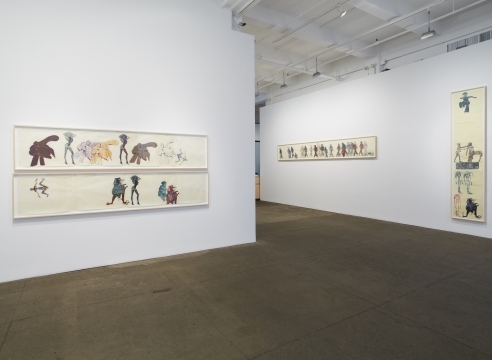 With raw intensity, Spero executed works on paper and installations that persist as unapologetic statements against the pervasive abuse of power, Western privilege, and male dominance. 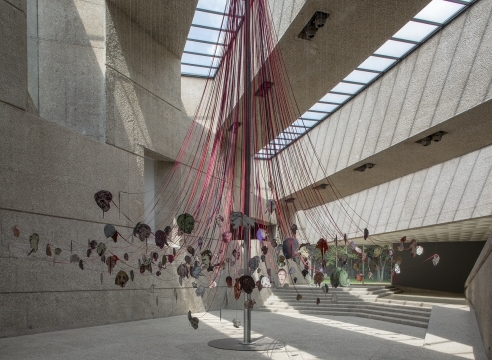 Museo Nacional Centro de Arte Reina Sofía, Spain; Museum of Modern Art, New York; National Gallery of Art, Washington, D.C.; Tate Gallery, England; Whitney Museum of American Art, New York; Museum of Fine Arts Boston, Massachusetts; and Dallas Museum of Art, Texas. 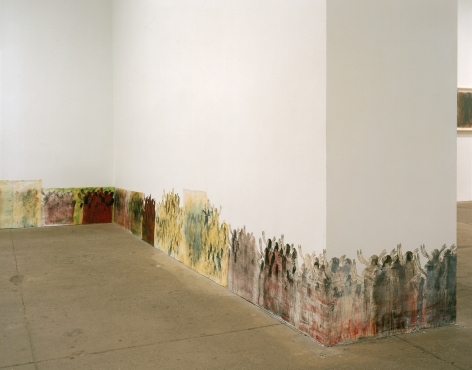 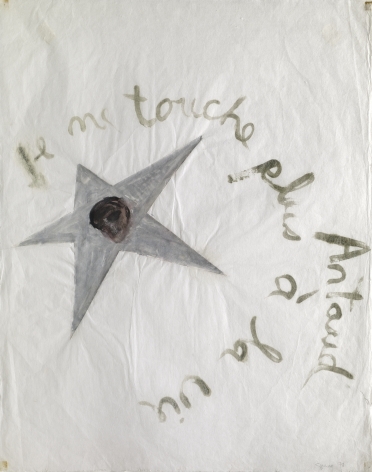 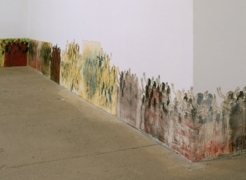 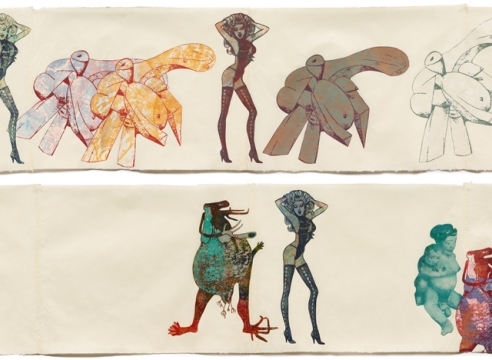 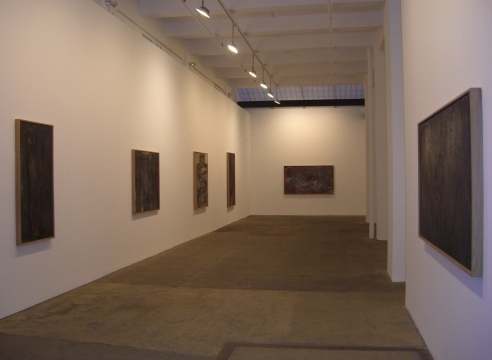 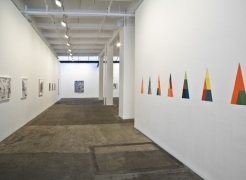 Major monographic exhibitions of Spero’s work have been shown at renowned museums including the Museo Rufino Tamayo, Mexico; Centre Pompidou, France; Serpentine Galleries, England; Museo d’Art Contemporani de Barcelona, Museo Nacional Centro de Arte Reina Sofia, and Centro Andaluz de Arte Contemporáneo, Spain. 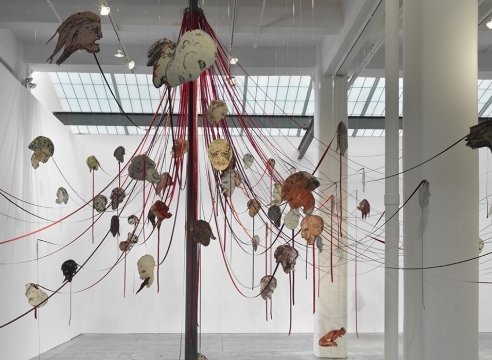 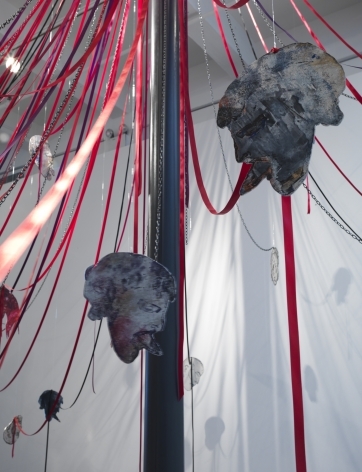 In 2007, Spero presented the installation Maypole: Take No Prisoners at the 52nd Venice Biennale.